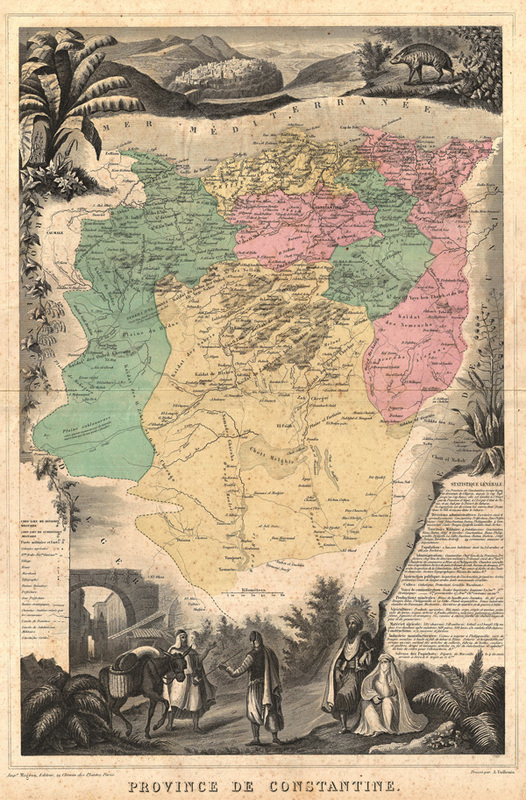 Beautiful, lushly exotic illustrations of flora, fauna and people border this highly detailed, colored 1870 map of colonial Algeria, or 'Province De Constantine.' Extends from the Mediterranean so to include parts of the Atlas Mountains and the Sahara. Migeon, J., Géographie Universelle, Atlas Migeon, (Paris) 1870. National Library of Australia, Map Division, 26692552.